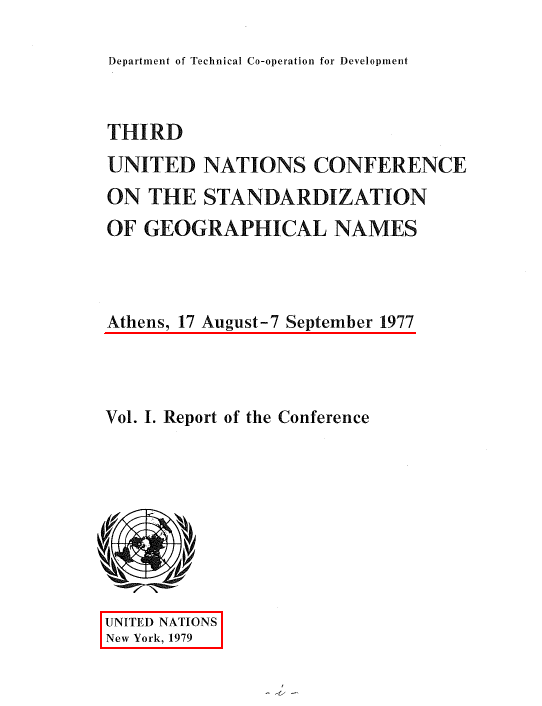 This is a OFFICIAL UN document with the title; Third United Nations Conference on the Standardization of Geographical Names, Athens 17 August-7 September 1977. Source: Vol. I. 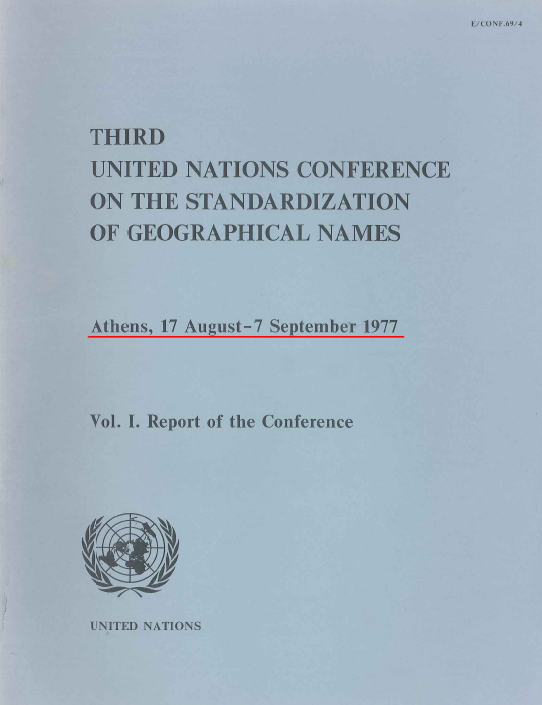 Report of the Conference, Athens, 17 August – 7 September 1977, United Nations Publication E.79.I.7 (1979), E/CONF.69/4. If this is not proof enough then what is? This “name-game” that Greece is playing with the Republic of Macedonia is nothing more then a Greek LIE! One must ask oneself, what has happened since 1977? 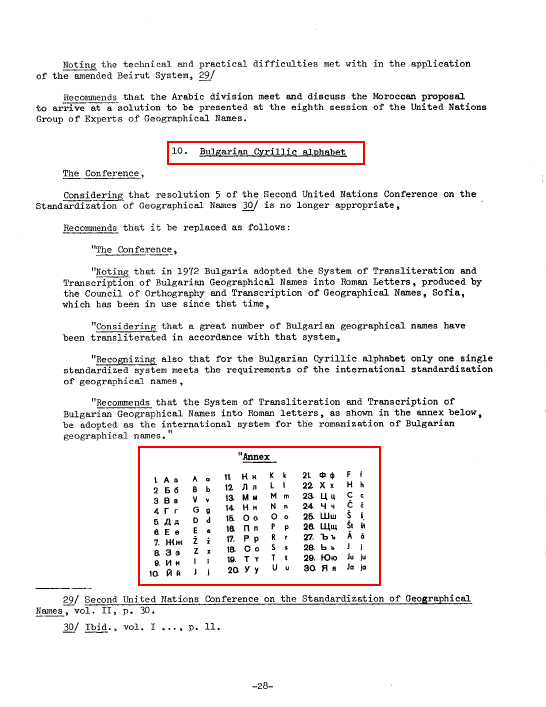 Why did not Greece object to the use of the term MACEDONIAN and complain to the United Nations? 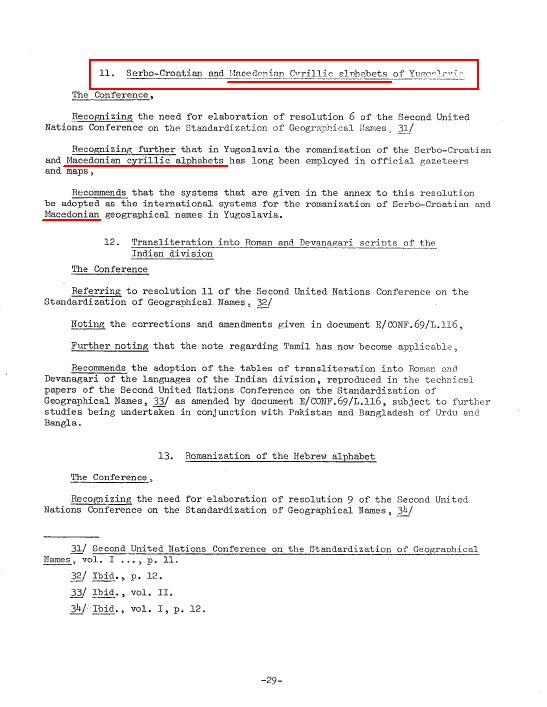 This conference was even held in the Greek capital of Athens, NO VETO, no nothing. 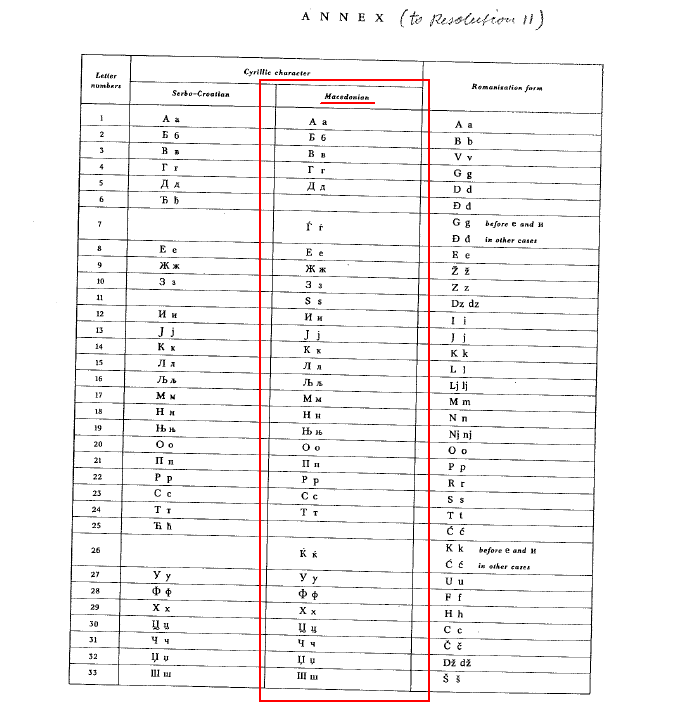 Both the language and the Cyrillic alphabet are referred to as MACEDONIAN! Greece why was it a proper name back then but it is not today?